A pillar drill is the most common way of drilling holes. The drill bit comes down from the top. Underneath is a flat table. Its particular advantage is that there is a large space between the table and the drill. 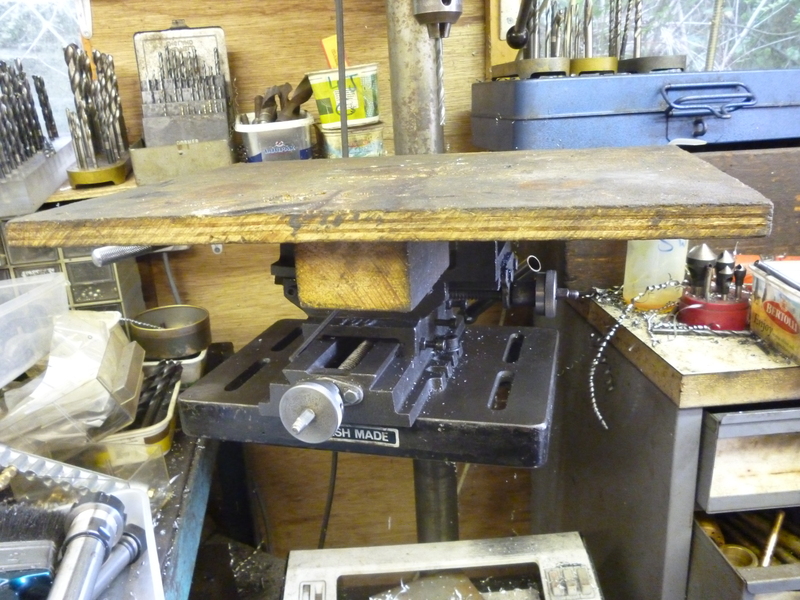 The workpiece is on the table or is held in a vice on the table. The hole is drilled and that is it. It seems very simple but… The workpiece often needs to be held. 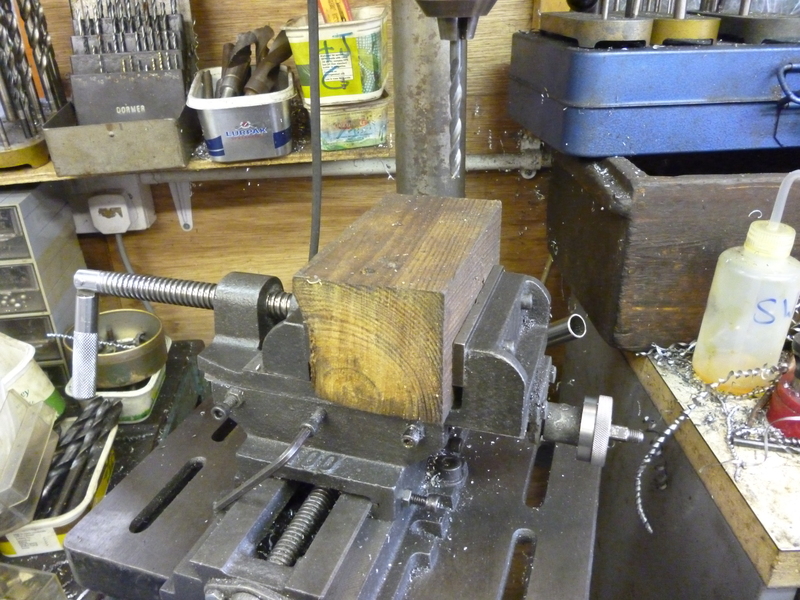 This is often done with a vice. If the vice needs to be held how is it aligned with the drill bit? 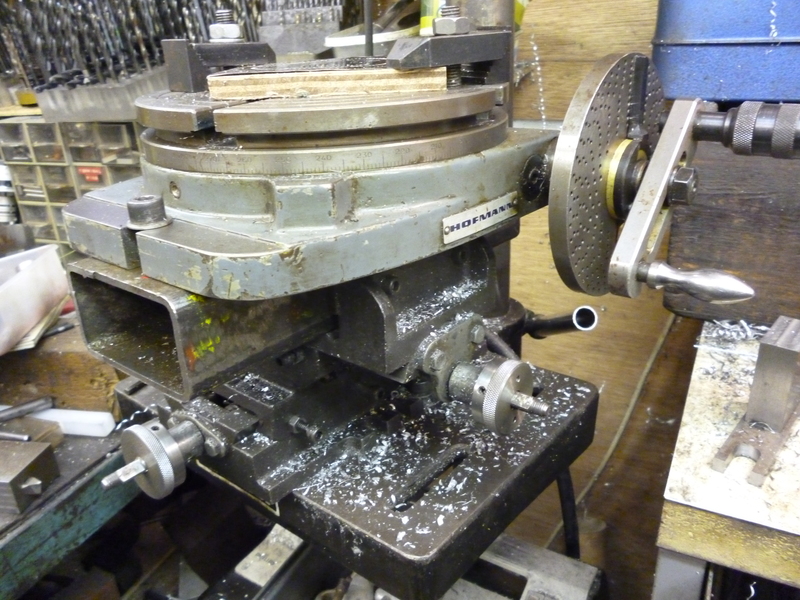 Very often it is necessary to put something under the workpiece to prevent it being drilled into. What if a rotary table is needed to drill a series of holes in a circle? These can be done on a milling machine so easily. The reason is that the milling table can be moved in both the x and y directions very accurately. It is easy to make the pillar drill behave like this in a very simple manner. The trick is to mount a cheap x/y table on the table of the pillar drill. The x/y table would then have a vice mounted on it. 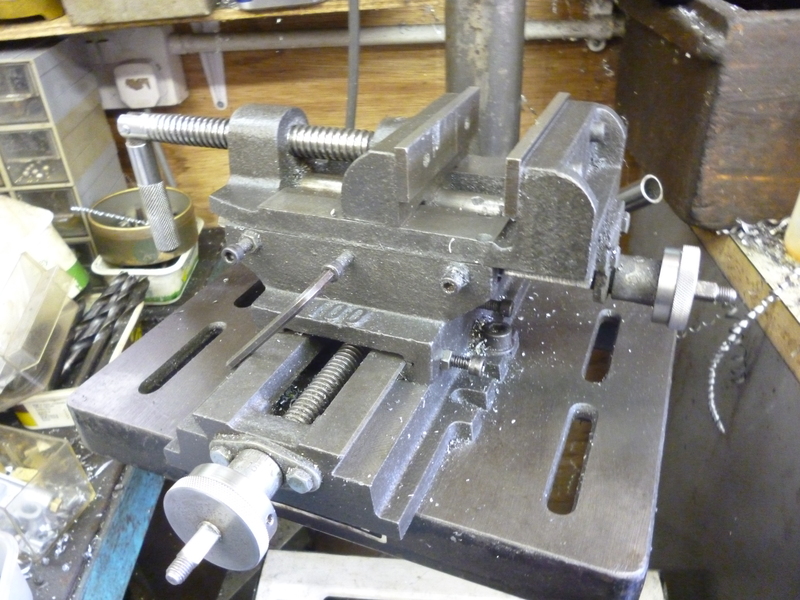 But there is a cheap and readily available x/y table complete with vice made in the far east. This can also be bought in a range of sizes. One problem with this is that the table of the pillar drill plus the x/y table is fairy heavy. One way round this is instead of raising the table various devices can be used to raise the workpiece. The xy table is moved so the drills will drill through into a hole in the 1-2-3 block. It might seem that the large flat area that is normally available on the drilling table is gone. This is solved by making a table that is held by the vice. When all other surfaces in the workshop are “unavailable” this can be useful. 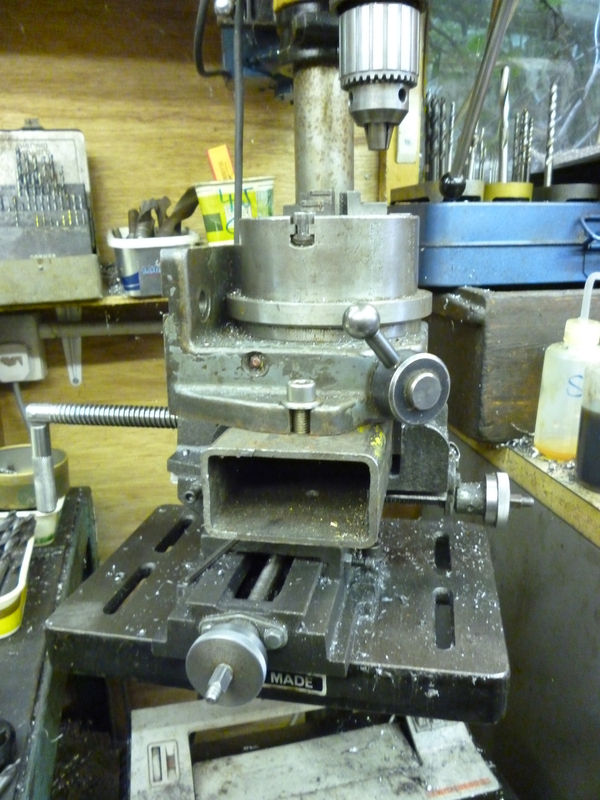 One of the really good features of this system is that an indexing chuck can easily be fitted to the vice. The indexing chuck table is mounted on a piece of rectangular steel tube. 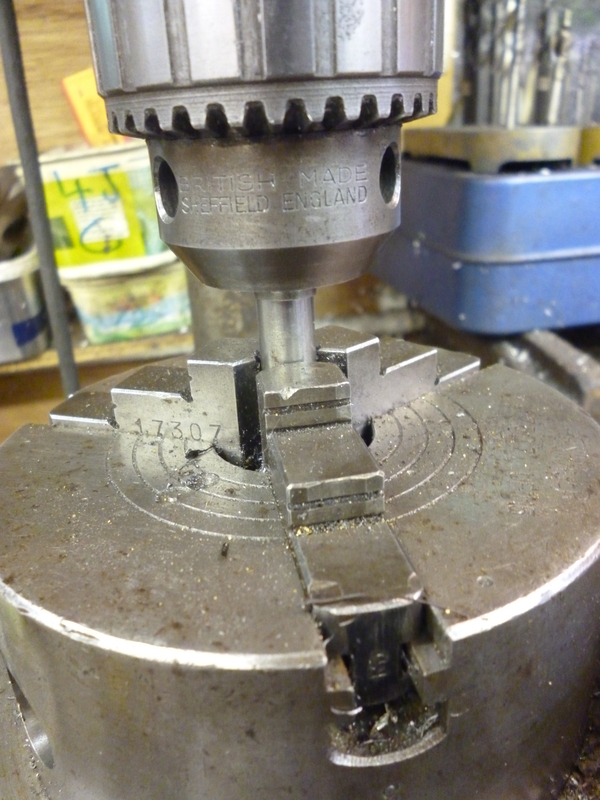 Doing this means the indexing chuck can be centered properly relative to the drill. This is essential if hole are to be drilled in a circle with a precise radius. This is done by fitting a spigot in the chuck. The indexing chuck is loose on the rectangular tube. It is moved in the x/y directions till the drill chuck can be properly tightened up on the spigot. The bolted holding it are then done up tightly. The x/y table is then locked on one axis. The rotary table is then offset using the other axis. The x/y table is then locked on its second axis. 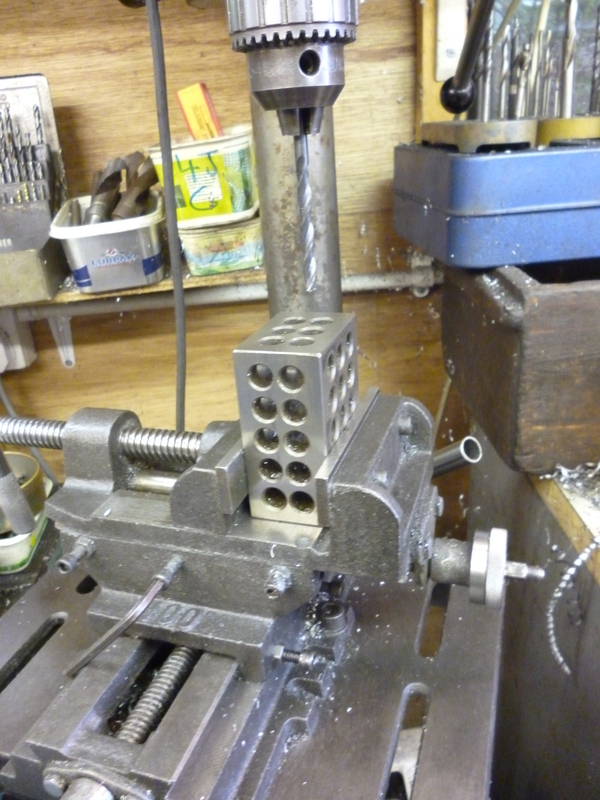 The same rectangular tube can also be used to mount a rotary table on the pillar drill.